Having had just the opportunity to work with S.N.G landscaping, I'm thrilled to refer their services to my family and friends. They are professional, courteous, and most importantly meticulous! Gabriel, the owner, is very friendly and even more important a man of his words! He delivers upon what was agreed and does so within timeframe promised! Our backyard was a disaster with all the weeds that have been growing in there for years. He totally killed and removed them before putting top soil for the new grass! Well, now I can say I'm very happy with the oasis that he has built for us! Thank you S.N.G landscaping for all you have done for us and see you for the next project! We have been working very hard to get the best results. 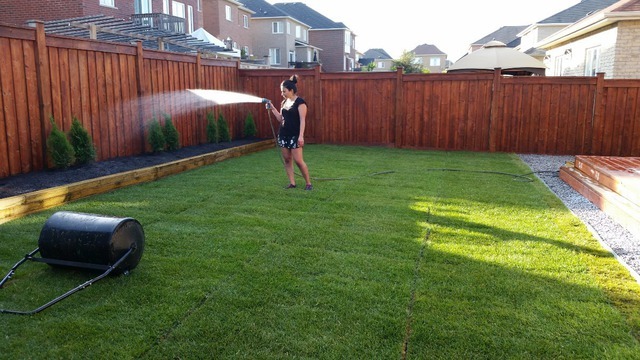 Enjoy the summer, ENJOY YOUR NEW BACKYARD! ! !